Marija has a dual career combining English language teaching and fiction writing. She is the 2017 winner of the Vogel Literary Award for an unpublished manuscript by a writer 35 years or under. She has recently been named as one of the four best young Australian novelists of 2018 by the Sydney Morning Herald. Her English language role at Deakin focuses on teaching academic writing and critical reading to graduate international students. It is a role which makes explicit and direct use of the skills Marija herself developed through her MA candidature. Marija has had many career-enhancing opportunities to extend herself in this role. She has written courses, designed and run study tours for students and teachers from overseas, and developed materials for Deakin’s library-based independent learning centres. In 2014, alongside her work in English language teaching, Marija started writing the novel which would win her the Vogel in 2017. 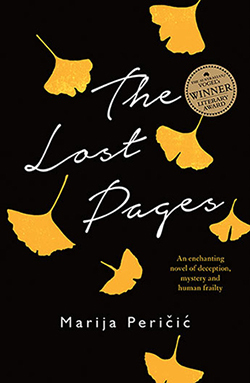 Her book The Lost Pages is a fictional memoir about the rivalry between Franz Kafka and his literary agent Max Brod. Reflecting on her MA candidature, Marija comments that, "working on that long research and writing project, doing the revisions, getting feedback and making corrections" was incredibly helpful for the project of writing a novel. She says that the graduate research experience also helped her with the skills "to talk about her work and explain herself", skills much needed by contemporary writers who run the gauntlet of interviews, writers' festivals and discussion panels. Marija has just finished the first draft of her second novel - a psychological thriller set in Sweden in the 1930s - and is clearly happy with the writing life. "It's so much fun. I love it. I really love the researching, it's exciting to find things out. The things you discover are so quirky, often strange!" Marija applied for an Australian Council Grant to complete this second novel. Her success in securing funding led to reflection on how the skills of devising a "research proposal, plus writing with plans, milestones and structure" readily transferred to grant writing.